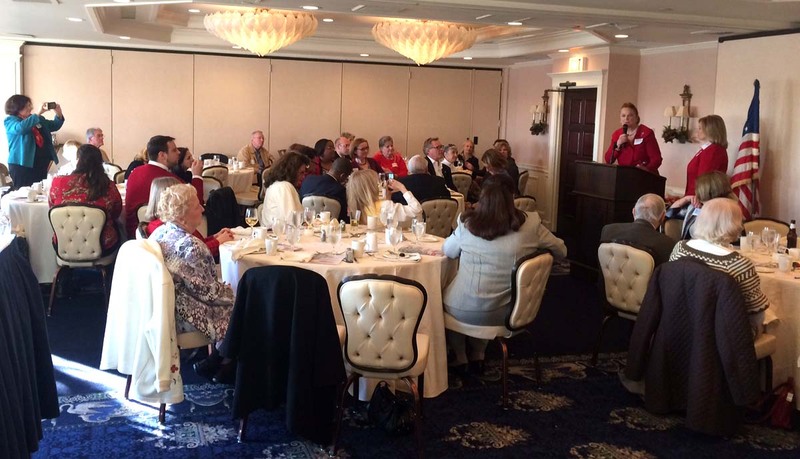 The Connecticut Federation of Republican Women will hold their Annual Meeting and Luncheon on Sunday, September 18, 2016 from 12 noon until 3 pm at the Four Points by Sheraton, 275 Research Parkway, Meriden, CT 06450. The event will include an address from Carrie Almond, President of the National Federation of Republican Women who will take time off from a NFRW cross-country “Rosie” bus trip to the White House. The Rosie Bus trip is promoting the importance of Republican women voting in this election. Also, speaking will be James L. Trifiro, Lt. nationally known expert on Homeland Security. He is a Hampden County, MA Sheriff in the Law Enforcement Special Operations Division and is a Certified Master Counter Terrorism Specialist. Other invited guests include Republican candidates for U.S. Senate and Congress, CT Senate and House Leaders and other CT Republican dignitaries. There is also a possibility of a surprise guest appearance via SKYPE! All Republican women and their guests, NFRW members, CT Republican Candidates and CT Republican lawmakers are strongly encouraged to attend. Join with like-minded people to hear educational ideas and inspirational messages! To attend, please send a $40 check made out to CTFRW to Susan Ray, 18 Tolland Circle, Simsbury, CT 06070. Please note on the check your food choice (Chicken Marsala or Sole Francais). Checks will be accepted at the door, but only with an advance RSVP. For further information and to RSVP, please contact Mary N. Turner at (860) 658-7794 or tolturner@comcast.net by noon, Monday, September 12.